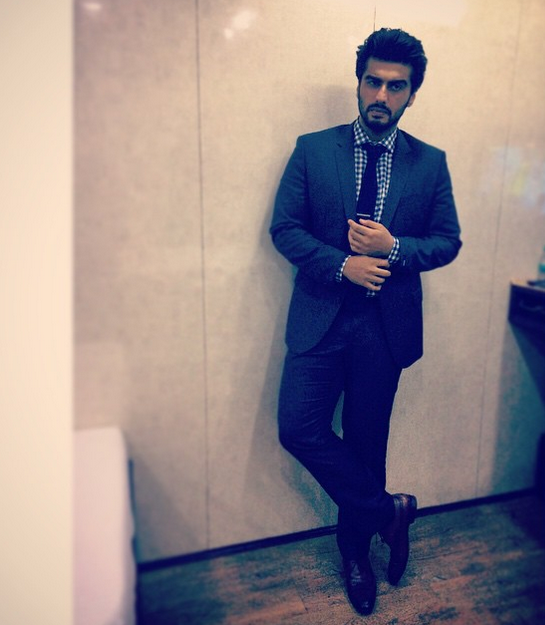 Arjun wore Suit by Hugo Boss, shirt by Tommy Hilfiger, knit tie by Brooks Brothers and tie clip by Bro Code. He looked great. Wish it was not a check shirt but a plain or stripe shirt.